Award-winning, open-source and free, Elgg is a social networking engine used to create social networks and interactive applications. One of the best ways to engage your customers and other visitors to your site is to offer some type of social media integration—one-click logins using a Facebook or Twitter account, for example—to your site. But you don’t have to settle for mere integration with other social media sites; you can, thanks to social networking engine Elgg, build your own. Of course, not everyone wants to create the next Facebook, but Elgg does give you a wide variety of tools necessary to build an interactive online community, complete with file management and user account administration. Using a variety of application programming interfaces (APIs), plug-ins, and extensions, you can build a site with robust user profiles, full communication capabilities (including instant messaging, posting to profiles, and internationalization), and integration with multimedia applications, games, and forums. Elgg also supports themes and other customizations through its APIs. Beyond the standard features (including avatars, dashboards, friends, groups, profiles and widgets for all users), Elgg also supports blogging, bookmarking, custom pages and message boards, as well as detailed activity tracking. Back-end support for all of these features is supplied by multiple database connects, all managed from the administration system. Who's Best for Elgg Hosting? We think SiteGround is the best choice for hosting a Elgg-based website. As always, remember to consult your hosting provider for complete information on compatibility and installation options before adding this or any other application to your server. How Does Elgg Compare To Other Social Networking Systems? Elgg is one of many open source social networking systems on the market. While there are many universities and businesses that use Elgg as their platform for social networking, you may still be considering another solution instead. Below, we review Elgg in comparison to four other alternatives for social networking. Which solution do you think will be best for you? Elgg Vs. BuddyPress: Elgg is a full framework designed to launch your social network. By comparison, BuddyPress is a plugin that can be installed on the WordPress framework to launch a social network. If you have the comfort with development and building a network from scratch, then Elgg will be a better solution than BuddyPress. Elgg Vs. Dolphin: Dolphin is often considered to be an ‘easy’ solution to install and update. On the downside, its license requires attribution and can prevent businesses that want to white label their social network from being able to do so. Also, there can be additional software costs involved with Dolphin if you buy a package with additional features. Elgg is completely open source, free to use, and includes many of the same features as Dolphin. Elgg Vs. Drupal: Elgg has the advantage over Drupal if you are looking for a social networking platform because most users will find Drupal’s administration area to less intuitive than Elgg. Both platforms allow you to build sites from scratch, but the specific features Elgg brings out of the box to tailor to social networking are likely to make it a wiser choice for development over a “one platform for all” solution like Drupal. Elgg Vs. PHPfox: In comparison to Elgg, PHPfox starts at almost $300 just to get started. Anyone looking to create a startup social network may be better off with Elgg and its open source license and fees. Elgg is a social networking platform that comes with a lot of opportunity for starting ‘the next Facebook’, but also with some pretty specific server requirements. There are other options out there, but few present the opportunity to grow and the features all networks need out of the box with no additional fees. Before you check for a one-click install option for Elgg with your hosting provider, make sure you have your server requirements in line and that it has every feature you need for your network. What are some good reasons to use Elgg? Elgg is a great platform for social networking because of its comprehensive service offering. If your social network is driven by blogging – then Elgg can serve as your platform. If your social network needs to incorporate bookmarking, chat, and message boards – Elgg can serve as your platform. With APIs and available plugins from Elgg, there is almost nothing a social network can accomplish for its users. Are there any reasons not to use Elgg? While Elgg is great as a social networking platform because it is so flexible in its capabilities, it can be too robust for webmasters who are new to managing a network or for user bases that are limited in their comfort with leveraging the internet. Before you plan on deploying Elgg as your platform for launching a social network, consider your own personal technical expertise and the expertise of your audience. Although a robust platform like this may be great for millennials who are fans of a video game franchise, there may be too many bells and whistles for a social network designed to provide support for senior citizens. What are the alternatives to Elgg? There are many social networking content management systems on the market today. If you are looking to create a 100% authentic social network platform and manage it as such, then platforms like Dolphin, PHPfox, and Oxwall should be able to help you create a similar experience. If you are already comfortable with content platforms like WordPress, then an alternative like BuddyPress may be a good option. Do I have to know how to program to use Elgg? In order to unlock all of the capabilities available to you through Elgg, PHP programming knowledge will be valuable. If you want to design a theme, allow your users to have robust profiles, or integrate communications solutions, then you need to know how to utilize APIs to make all of that possible. Installation of Elgg is available through 1-click installs from a wide variety of hosting providers. An Apache server with Linux, MySQL and PHP capabilities should be fine for running Elgg. Of course, if you have doubts about whether or not your current server is capable of handling Elgg as your social CMS, you should consult with your hosting provider. What are the requirements for Elgg web hosting? Elgg has some very transparent information on its website related to the server requirements. For most website owners starting out with Elgg, however, the installation of a modern “LAMP” stack (Linux, Apache, MySQL, and PHP) should be able to handle your website as it gets off the ground with users and traffic. Can I host an Elgg social networking site on a shared hosting plan? In the early going of your social network, you shouldn’t face any problems hosting Elgg on a shared server. However, you will likely face a challenge with continuing to use shared hosting as your user base grows. If you can afford to deploy Elgg on a dedicated server, it may be a good choice. 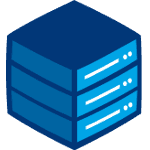 On a dedicated server (bare metal of virtual) your site can grow without the need for being faced with the decision to upgrade once your shared hosting hits its max bandwidth. Self-hosted websites do not require YOU to personally own a server and manage it to host your site. Instead, self-hosted simply means that hosting is not provided directly by the development team that created Elgg. In order to use a self-hosted content management system like Elgg, you will need to contract a hosting provider before building your website. Do I need managed hosting in order to use Elgg as my social networking platform? The more complex your site becomes with modules, features, and streaming applications, the greater your need will be for professionally managed website hosting. If you have a dedicated hosting solution, however, managed services are likely required as part of your agreement. This requirement is the case with any self-hosted content management system for social networking – not just Elgg. Consult with your hosting provider before making a final decision on how much management your hosting package is going to require. How does Elgg compare to Dolphin as a social networking platform? In comparison to Elgg, Dolphin is not the easiest content management system to install and update. Oftentimes, Dolphin’s license also requires attribution. By comparison, Elgg is completely open source and includes many (but not all) of the same features as Dolphin, assuming you know PHP and can setup API protocols. So although you may spend a little bit more in terms of hosting and features with Dolphin, you may also have more flexibility and custom features when compared to Elgg. Dolphin is often considered to be an ‘easy’ solution to install and update. On the downside, its license requires attribution and can prevent businesses that want to white label their social network from being able to do so. Also, there can be additional software costs involved with Dolphin if you buy a package with additional features. Elgg is completely open source, free to use and includes many of the same features as Dolphin. How does Elgg compare to BuddyPress as a social networking platform? Elgg is a full framework designed to launch your social network. By comparison, BuddyPress is a plugin that can be installed on the WordPress framework to launch a social network. If you have the comfort with development and building a network from scratch, then Elgg will be a better solution than BuddyPress. However, beginners to programming will likely find the management aspect of Elgg to be very difficult and too rich with custom features. With BuddyPress being built upon the web’s leading platform – WordPress – you may find yourself much better off with using BuddyPress for social networks that cater towards older users of the Internet.